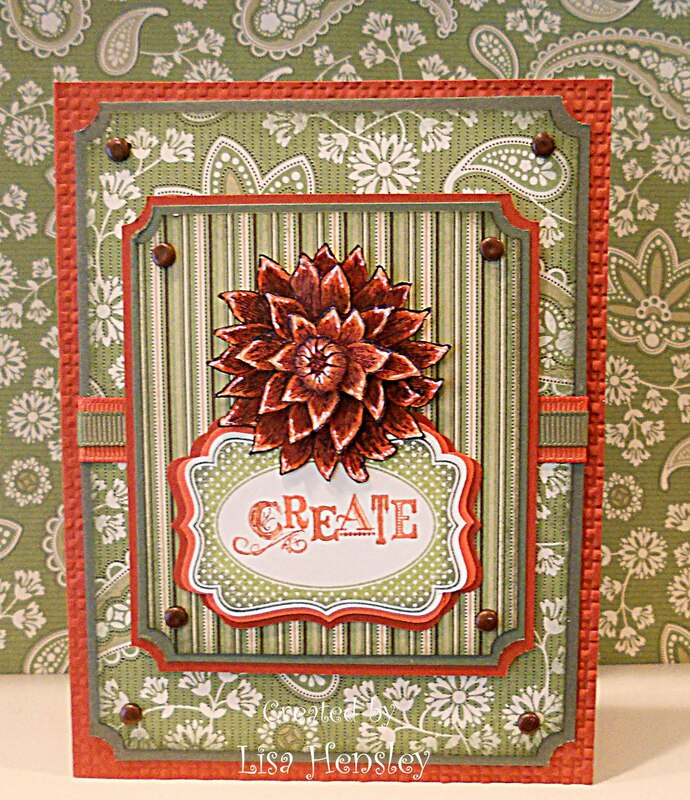 Ever since I saw this dahlia in Creative Elements, it screamed that it needed to be popped up in layers-- the photo doesn't really do the finished product justice! Helpful hints: I inked up the frame from Four Frames with Lucky Limeade, then rolled the edges in Always Artichoke to give it a ombre feel. I ran my Early Espresso marker around all the cut edges of the flower layers, giving them better definition and losing that tacky VCL (Visible Cut Lines). White gel pen adds highlights and more definition to the petals. 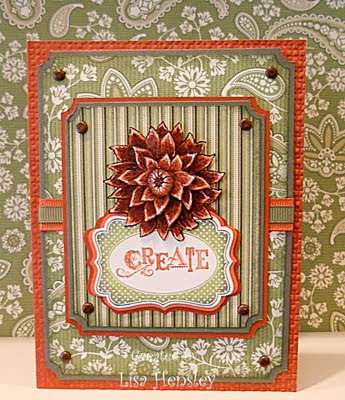 The Cajun Craze card base was embossed with my Square Lattice Textured Impressions folder.